The firm of Monkton and Sharp, photographers, have dissolved partnership. The business will in future be carried on by Mr Jas. Sharp, who, since his arrival in this town has introduced the latest improvements in photography. An inspection of the more recent examples of Mr Sharpe's artistic ability is the best recommendation he could possibly have. Oil Painting. Mr Sharp, photographer, Taupo Quay, has just completed to order an exceedingly well executed portrait in oils of the late Mr James Rapley. Having been enlarged from a carte by means of the solar camera, the likeness is of course perfectly accurate, and the brush has been manipulated in a manner which gives evidence of judgment and experience, together with taste and skill of a high order. Those of our readers who are anxious to preserve to posterity an accurate portrayal of their lineaments can have their desires secured by calling upon Mr Sharp, who is in a position to execute orders entrusted to him in an artistic and highly finished style. No long dreary sittings are necessary, one or two brief interviews being all that is required. In the case of relatives deceased if the carte is preserve a careful description, and if convenient, a lock of hair, will be sufficient to enable Mr Sharp to produce a portrait, of any size, startling in its lifelikeness. We trust our readers will avail themselves of the opportunity of securing for their children heirlooms they will appreciate, and of at the same time evincing their approbation of the enterprise and ability displayed by our fellow townsman. Shock of Earthquake. Towards five o'clock on Sunday morning a tolerably sharp shock of earthquake was felt in town. 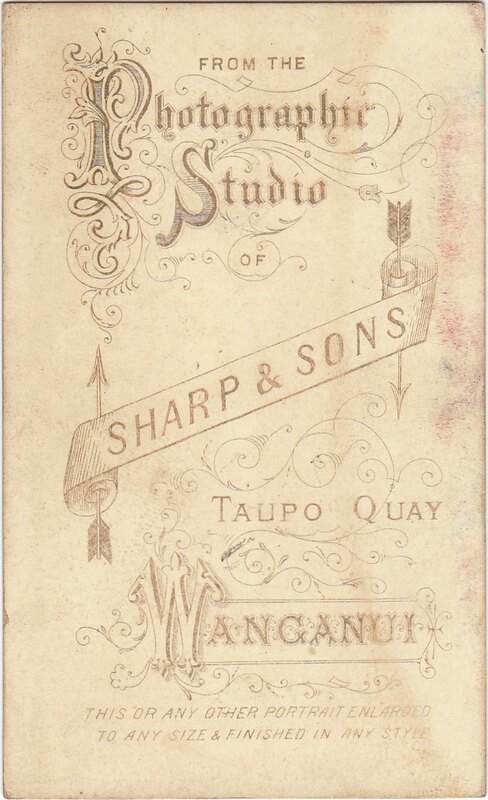 We learn that residents indifferent localities had sundry articles of crockery and glass broken but the heaviest sufferer we have heard of is Mr Sharp, photographer, Taupo Quay, who informs us that he had about £20 worth of negatives smashed to pieces during the shake. The collection of portraits of the old settlers on this coast is nearly completed. We learn from Mr John Walker that 80 photos have been received, but with the view of making the collection as perfect as possible we have been requested to intimate that the list will be kept open for another fortnight. Any one having copies, or who by right of long residence have a claim to be included in the early band of pioneers, are requested to communicate with Mr Jas. Sharp, photographer, Ridgway Street. Old Identities. 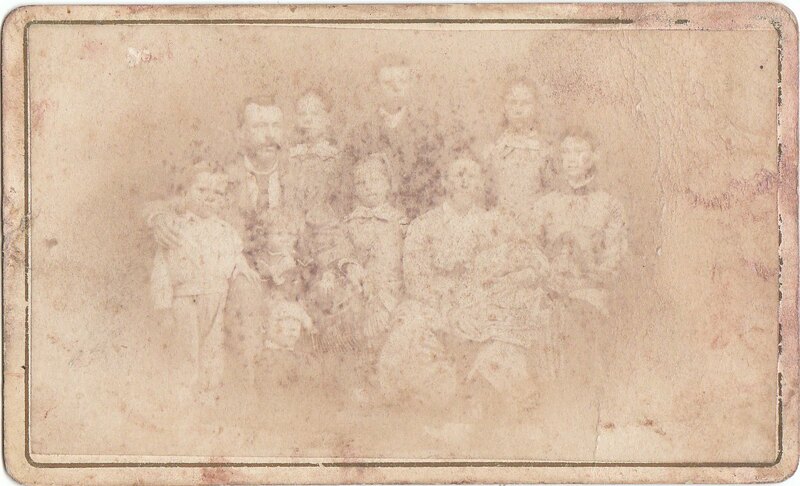 Within the last few months several gentlemen have interested themselves in collecting photographs of all the old colonists of the district, with the object of getting them arranged in a group and copied. Already some eighty have been gathered together, and about twenty more have been promised. Persons who are in possession of cartes de visite of colonists who have a claim of about say 30 years' residence, to entitle them to, the designation of old identity, would confer a favour by communicating with either Mr John Walker, of Aramoho, or Mr Jas. 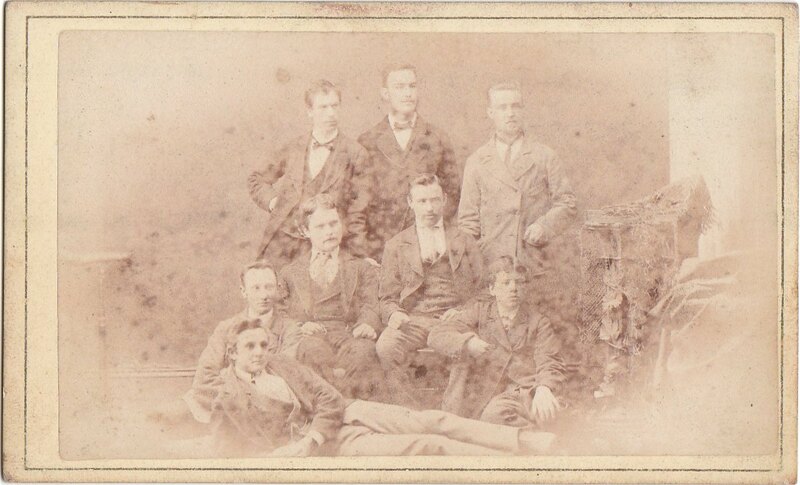 Sharp, photographer, of Ridgway-street, who has undertaken the task of arranging and copying the portraits. The list will be kept open for yet another fortnight. Lake Taupo.— Mr Jas. Sharp has on view, in the window of Mr Ross's shop, Taupo Quay, a very fine painting of Lake Taupo, with Tongariro in the distance. This is, we think, the best work from Mr Sharp's easel which we have seen. The drawing is excellent, and the colours are laid on with admirable effect. The scene which Mr Sharp has chosen for his subject is at all seasons, and at every hour of the day, a beautiful one but it displays additional charms when at early morning the placid waters and snowy mountain tops are flushed by the rays of the rising sun, and the artist has done well to select daybreak as the most suitable hour for a portrayal of this wonderful landscape on canvas. His treatment of the scene is artistic. There is no straining after effect, and no exaggeration in drawing or colouring. We are informed that Mr Sharp's landscapes obtain a ready sale in Australia. We have much pleasure in extracting from the Collingwood Observer the following notice regarding our old friend Mr Sharp, who recently left here. "Mr James Sharp, the New Zealand artist, was entertained by his Worship the Mayor of Fitzroy, in the mayoral chamber, last Friday night. With one avoidable exception, all the councillors were present, together with Cr Lang (Collingwood) and other gentlemen. In proposing the health of the guest of the evening, reference was made to his remarkable ability as a sketcher and painter, and a hope expressed that his art union (advertised elsewhere) would pass off successfully. A very enjoyable social evening was spent, the vocal and conversational powers of the guest and other members of the party having full fling. 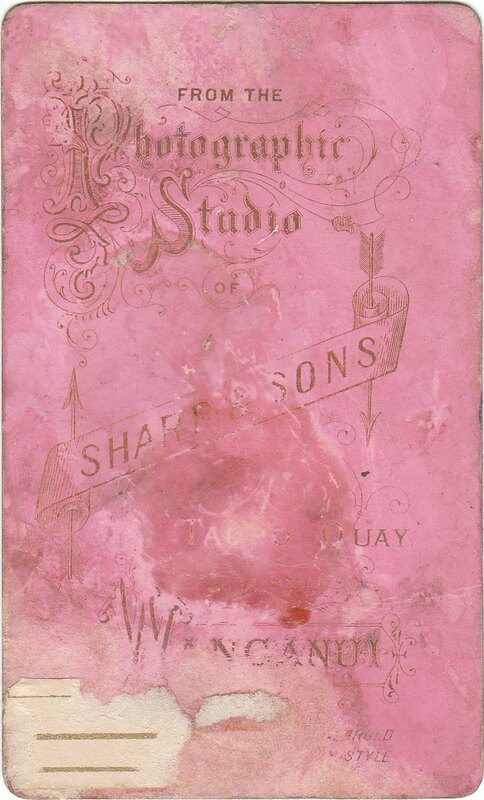 We might mention that the tickets of Mr Sharp's art union are going off rapidly. All the prizes are now on view at Batchelder and Co.'s studio, where they have been seen by many visitors. Several of Mr Sharp's sketches will, we understand, shortly appear in the Illustrated News.